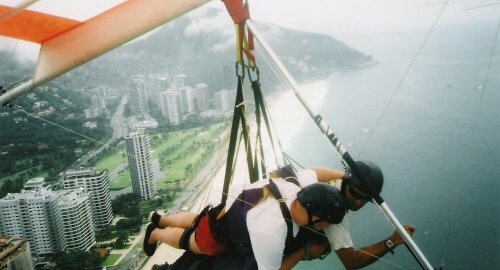 Handgliding in Rio de Janeiro. 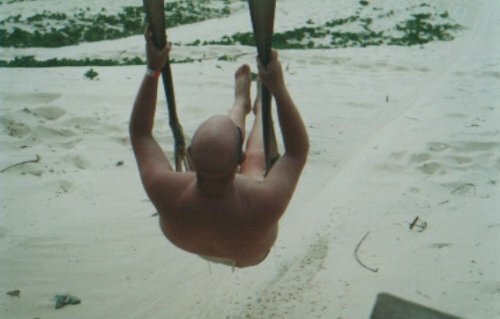 Sliding down the sand dunes on a deathslide. Natale, north-east Brazil. Natale, north-east Brazil. Tony (left) and Duncan (right). 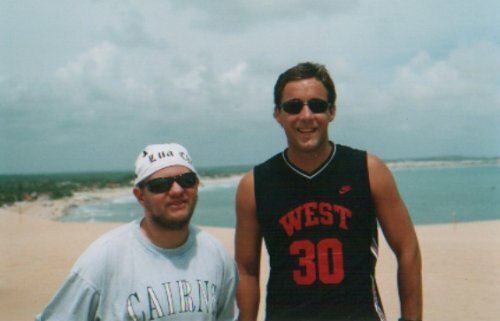 Me next to a statue of the first governor of the town, Porto Seguro, east coast of Brazil. 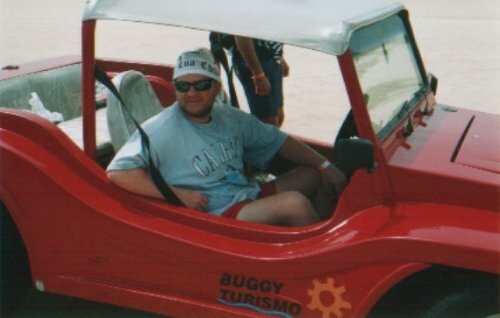 Late January 2004. 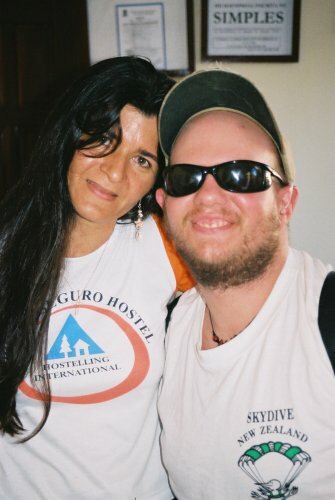 Porto Seguro Hostel. 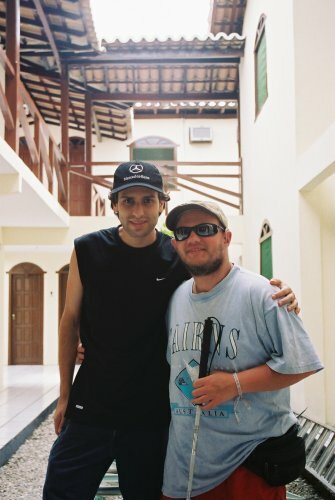 Rodrigo (left) and Tony (right).